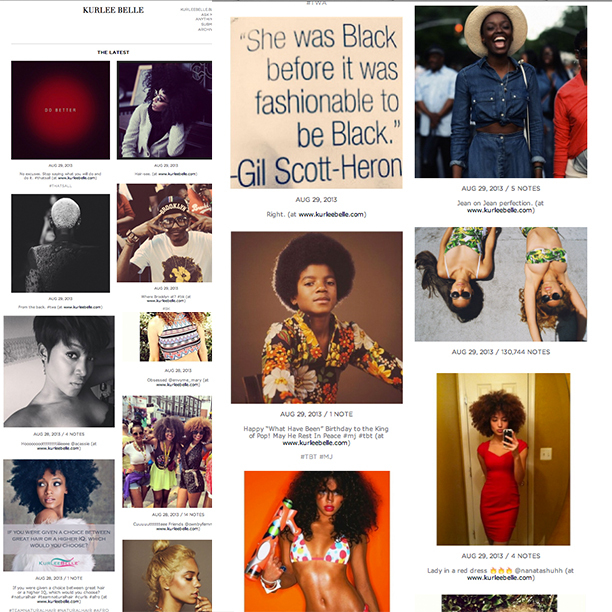 Natural Hair | Our Tumblr Has A New Look! Tumble with us on Tumblr! If you were given a choice between great hair or a higher IQ, which would you choose? "Washdays are the worst days. Now we use conditioner like we thirst-ay." All naturals have one thing in common, they dread Washday. The shampooing, conditioning, detangling, and styling all come with the territory of maintaining healthy hair. There are no shortcuts or exceptions to caring for natural tresses. Cutting corners will almost always result in damaged, dry and brittle hair-- hands down. Since I've been natural, I've developed a new relationship with my hair. During my relaxed days, I experimented with many styles. Hair was more of an accessory than an extension of my body. I would hear my tresses frying under the flat iron but it did not bother me. The only goal back then, was to have a nicely pressed wrap. I avoided trims like the plague and would only shampoo twice a month or whenever I got an appointment at the local salon. In fact, I would never have dared to shampoo my hair myself. The health and condition of my hair was in the hands of my Ecuadorian stylist Geovanny. At that time, Geovanny knew more about my hair than I did. He sat me in his chair, we laughed and talked, while he pulled my hair under his deathly hot blow dryer. The only real contact I had with my hair was at night. I would wrap it in a circular motion, rub on some CHI serum for shine and tie it down. Fast forward five years later and my relationship with hair has drastically changed. Today, I cringe at the thought of sitting in a salon chair and entrusting my tresses to a "professional". I understand the needs of my hair and scalp. Which ingredients work best for my tresses and what techniques will reveal optimal results. I have adapted a nurturing regimen that involves weekly shampooing, deep conditioning, detangling and styling. My relationship with hair has evolved to the point where comfort sometimes becomes optional if my hair will suffer (ex. I think twice before resting my hair on cotton sheets or the seat backs of chairs in the theatre). Any style that prohibits my hair from receiving the TLC it deserves is a no go. Although each part of my natural hair regimen is equally important, deep conditioning is the part I enjoy the most. When I deep condition, I feel that I am giving my hair a treat. A treat that says thank you for gracing me with your presence, for making me look awesome, and for withstanding the years of damage. I live by the motto "The more thankful you are, the more you will receive." With that said, I take great pride in what products I use on my hair. During my journey of creating Kurlee Belle, I tried and tested several products and ingredients. My hair was used as the paint brush that brought life to a wonderful line of products or my masterpiece. Kurlee Belle products were made out of love and a journey for ingredients that bring out the natural beauty of each and every strand. Each product is made from quality ingredients that can be felt from the moment of application. I did not cut any corners because I wanted to create products that I believed in. Products that do what they say and make the woman holding the bottle say, "Wow! This is Amazing!" and want to tell their friends about it. This is the main reason, Kurlee Belle, has been so successful. The woman who buys Kurlee Belle is pleased with her purchase because its contents far outweigh its price tag. When she opens the bottle or jar and feels the product on her fingertips, she knows that its quality. She doesn't need a lot of product because a little goes a long way. I know how this woman feels because I too am her. From application to smell, the line embodies a luxurious tropical experience. Almond & Shea Butter Moisturizing Shampoo's Orange-Nutty sweet smell leaves you wanting more as it softens and detangles your hair while cleansing. Thirsty Kurls Leave-Conditioner smells like the Hibiscus flower while it moisturizes and detangles on contact. Banana Nut & Avocado Deep Treatment is more than a treat with it smooth consistency that softens, defines and nourishes and will leave your home smelling like Banana Nut Muffins. Kurlee Tropical Oils Blend is an infusion of essential oils that leaves hair fresh and shiny. Last but not least is my Kurl Defining Creme. I like to think of this product as my baby that was born prematurely. In order to get this product ready for the world, I have had to give extra special time, love and attention to Kurl Defining Creme. I am a mini twists kind of girl, so this creme needed to be the best product I've ever used on mini twists. It had to be better than gel without being hard and crunchy. Definition and shine was it's main goal. I am so grateful that Kurl Defining Creme meets all of these standards. Its tropical ingredients and sweet smell make this product complete. It is everything that I've ever wanted in a curl creme. This post is less about Kurlee Belle Products, but more about the relationship with my natural hair. Hair has become an important part of my life, and the way I treat my hair is one of the most important things to me. To most people that don't care about hair, this may sound strange. I believe in taking a special interest in that that is most important to you. Most people want to sell you a product to make money. I want to share my experience with you, so that you can give your hair the love and attention it deserves. I hope that you would take a special interest in caring for your hair, no matter which products or ingredients you choose because your hair is an extension of you. How Has Your Relationship With Hair Changed Since Becoming Natural? 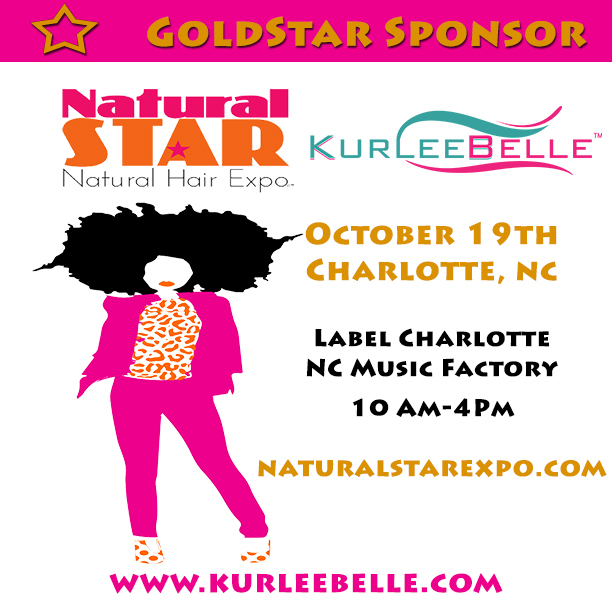 We are excited to announce that we will be the GoldStar Sponsor at Charlotte's 1st Natural Hair Expo hosted by Natural Star. The natural hair journey is one of experimentation. Those in search for the perfect curl, tend to accumulate many products (as known as product junkies). This experimentation eventually leads to a bathroom counter or cabinet filled with a variety of natural hair care products. In addition to natural hair care products, there are other beauty essentials like body wash, deodorants, moisturizers, toners, and makeup. If you are a product junkie and do not want to part with your beauty goodies, we have advice on how to properly store your cosmetics. First of all, if your products are in a jar form which requires you to scoop out the product with your fingers, make sure that your hands are clean before removing the product. Most products contain preservatives which act to fight against microorganisms (bacteria, yeasts and moulds) that may contaminate the product. After use always screw the lid on tightly. Do not leave the product opened to allow dirt and dust to invade the contents. Products that become contaminated can cause irritation to the skin and scalp and may not yield expected results. Most beauty/hair care products are designed to last for 18 months to two and a half years (estimate) after opened. In order to keep products in good condition, they must be stored in a cool dry place with the lids firmly closed. If your bathroom has a window, it is important to store products in an area where sunlight cannot penetrate the packaging. The bathroom cabinet is usually the first place we think to store products because in our minds that is what it was created for. If you live in a tropical climate, where it tends to get very hot, then storing your products in a hot cabinet will ruin the life of your product. Try storing your products in a plastic bin or shoe box. By placing your products in an enclosed box, will secure it from sunlight and control the temperature. If your bathroom cabinets are normally warmer than room temperature, try placing your products on the counter. Have fun with your storage, by purchasing decorative storage containers or DIY. Now that you are aware of how to store your products, start sorting out your treasure chest of endless goodies. Before storing your products, inspect each product that you know you've had for a long time to ensure it is still in good condition. Any products that are discolored, smell different or look unusual should be discarded. We pay a lot of money for our beauty products so it is imperative that we take care of them. 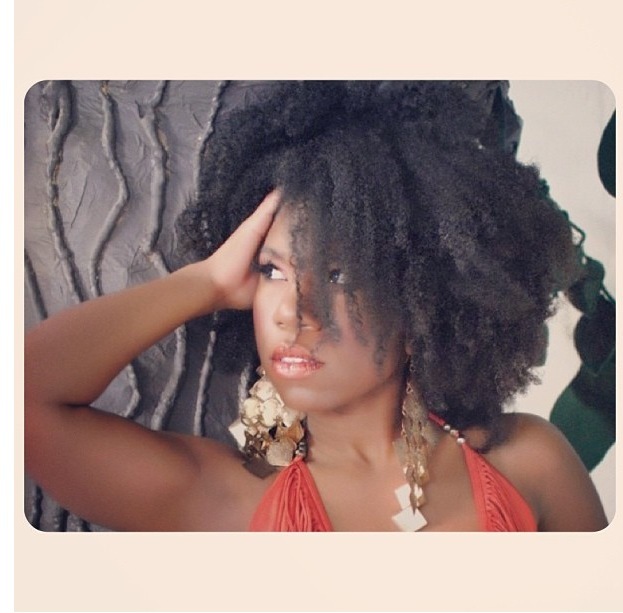 Visit our website at www.kurleebelle.com to check out Kurlee Belle's Natural Hair Care Products. How Do You Store Your Beauty & Hair Care Products? Hey Kurlees! It has been awhile, I apologize for not updating the blog like I should. I promise to do better. While searching videos on YouTube, I came across an AWESOME video that NubianGlamRock created about the Kurlee Belle line. In her video, she gives her candid feedback on how Kurlee Belle Products work for her natural hair which includes the Almond & Shea Butter Moisturizing Shampoo, Thirsty Kurls Leave-In Conditioner, Banana Nut & Avocado Deep Treatment and Kurlee Tropical Oils Blend. 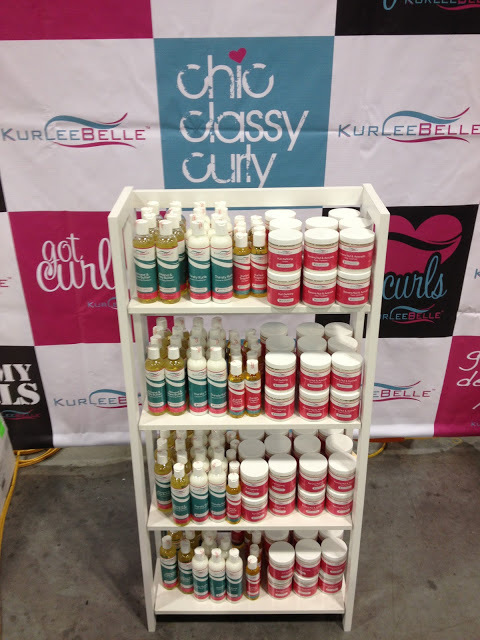 To Purchase Kurlee Belle Products, visit www.kurleebelle.com. 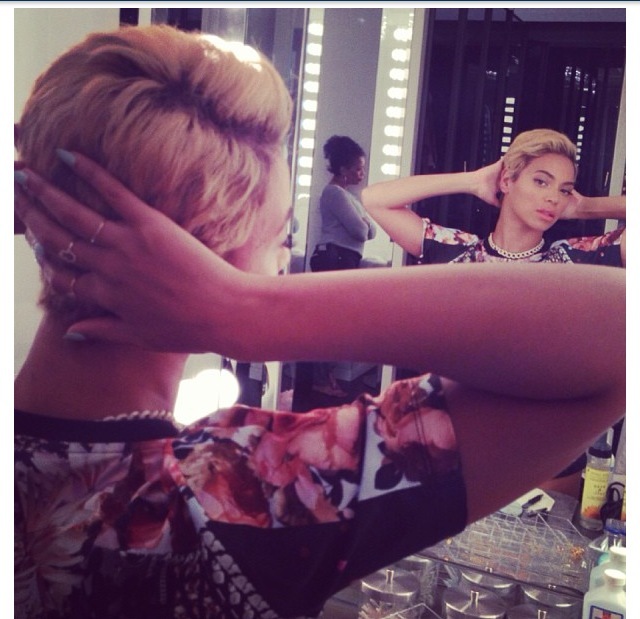 Natural Hair | Beyonce Gets New Hair! 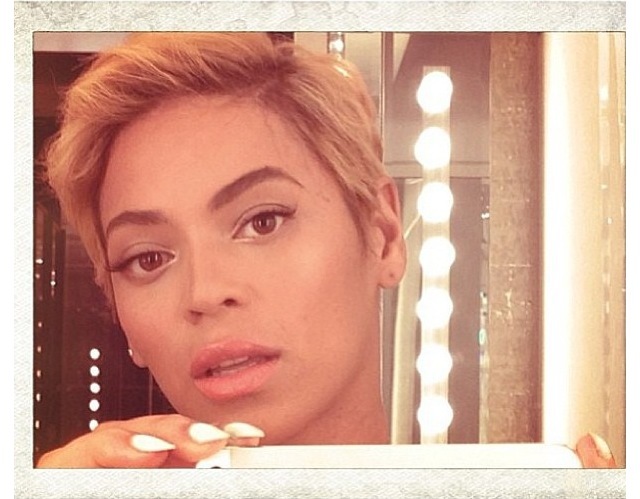 Just when we thought there was nothing new under the sun, Beyonce shocks us with a short cut. 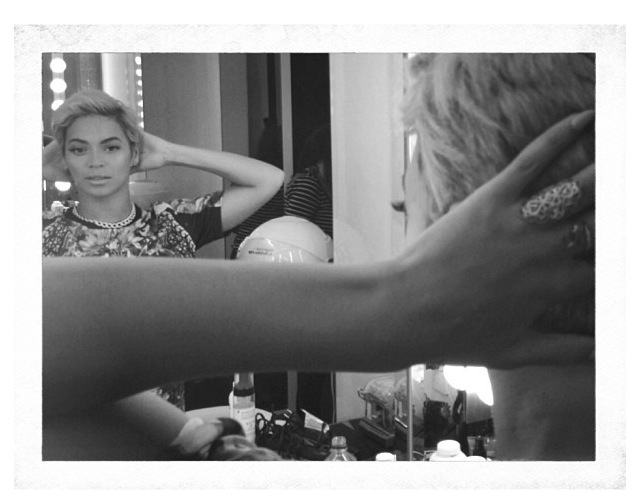 King Bey is the queen of bold moves, but what has stayed constant over the years, are her long flowing locs. She has experimented with a little color but always came back to golden blonde. The Mega Superstar, who has been called the "Queen of the Universe by Oprah" shared the new hairstyle via her Instagram page late last night. We posted a picture of the singer's new hair on our Instagram page and the reviews were to say the least mixed. 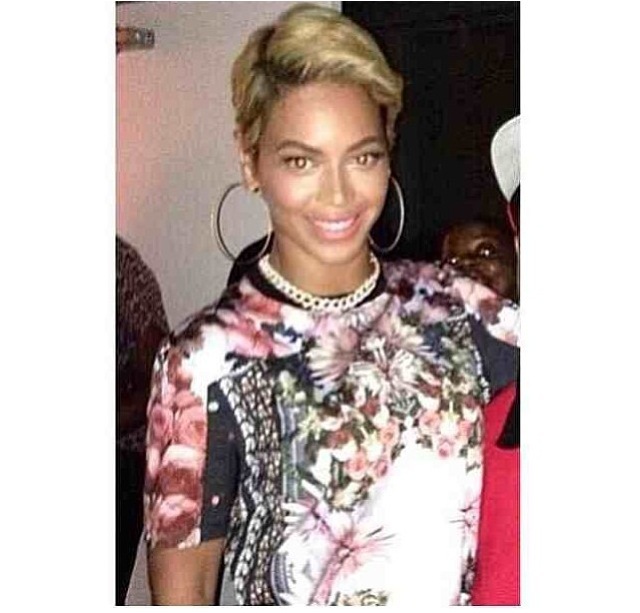 What do you think of Beyonce's new hair? 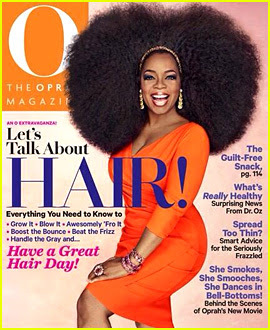 Oprah Wears Giant Afro on the September Cover of O Magazine!